The introduction of E-bikes to the world of cycling has allowed riders to explore further and longer than ever before. The steep climbs have now become just as fun as the fast downhills. What used to seem like a never-ending ride, is now just a warm up routine. If you want to experience cycling in the most fun way possible, throw your leg over a pedal assist mountain bike. 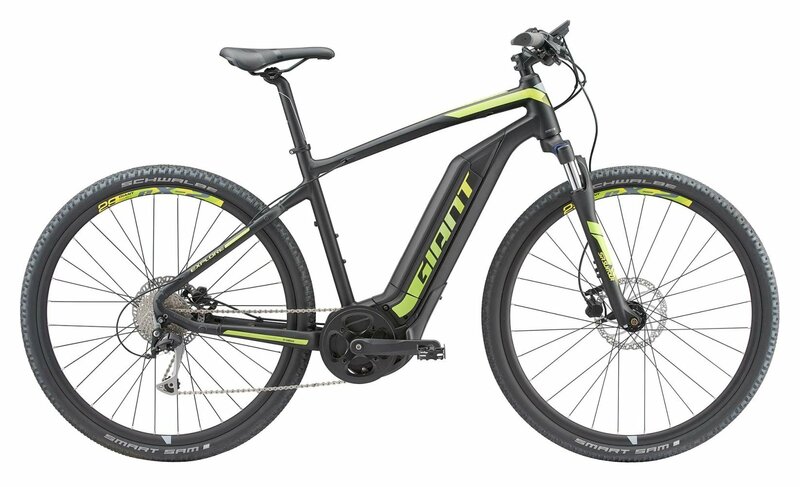 The Giant Explore E+3 is a cutting edge electric mountain bike. Fully loaded with Suntour suspension and Shimano Alivio shifting, the Explore is ready to give you the best ride quality possible. When it comes time to slow down, Tektro hydraulic brakes allow you to control the bike with confidence. The Giant SyncDrive Sport drive unit accompanied by a Giant EnergyPak 4000 lithium-ion battery will assist you up to 20 mph. It’s a guarantee that when you finish a ride on the Giant Explore E+3 you are going to have a huge smile on your face. This bike makes exciting long-distance adventures possible in an afternoon. Experience cycling in a way you’ve never imagined. Explore further than ever before and have more fun doing it than you ever thought possible. The world of cycling is always expanding, and the introduction of e-mountain bikes created a whole new horizon line.